The petition filed by BJP Delhi spokesperson and advocate Ashwini Upadhyay sought a direction to the government to establish an independent secretariat for appointment of judges, as directed by the Constitution Bench in the NJAC judgment or a National Judicial Commission on the lines of Union Public Service Commission and to start All-India Judicial Service (IJS) under Article 312 of the Constitution. 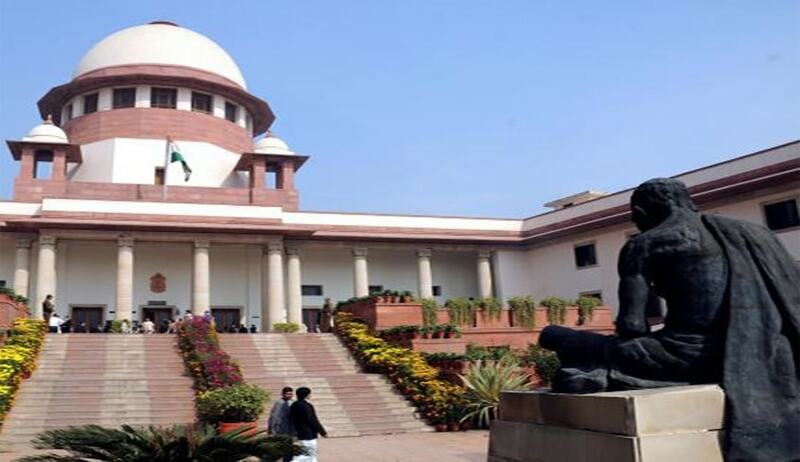 According to the petitioner, the Constitution Bench in NJAC judgment, directed the Union Government to frame a new Memorandum of Procedure for appointment of Judges considering the suggestions in this regard and specifically observed the four key areas namely: (i) Transparency, (ii) Collegium Secretariat, (iii) Eligibility Criteria and (iv) Complaints. However, appointments are being done without the compliance of the Directives of the Constitution Bench. On 05.11.2015, for improving prevailing collegium system, petitioner submitted his suggestions before the Constitution Bench Court as thus: (i) An independent National Judicial Service Commission should be established on the lines of Union Public Service Commission for appointment of judicial manpower. (ii) Indian Judicial Service should be established in spirit of Article 312 and 50% of the judges of the High Court should be appointed through it. (iii) Advocate-on-Record examination should be conducted every year at national level and after a considerable time, may be 2020 onwards, only prospective Advocate-on-Record should be considered to be appointed as the judge and designated as the senior advocate. A table having 10 parameters on scale of 1-5 (fair, good, very good, excellent, outstanding) should be used for short-listing prospective Advocates. (iv) Names of prospective Advocates should be recommended by the Chief Justices of the respective High Courts in full court meeting and final approval should also be done by Hon’ble Chief Justice of India in full court meeting of the Supreme Court. (v) Judges should not be posted in the High Courts, where they practiced the Law or where their blood relatives are practicing as Advocate. (vi) Law Commission recommendations related to Judicial Reform (Report No-114, 116, 221, 230, 245) should be implemented urgently. According to the Petitioner, Article 312 was amended in 1976 to specifically provide for creation of IJS but unfortunately, it is still a dream due to non-seriousness of the consecutive Union Governments. Three Chief Justices’ conferences in 1961, 1963 and 1965 favoured this recommendation. In 1972, the then Chief Justice of India again endorsed the creation of IJS. Supreme Court considered this issue and endorsed the creation of Indian Judicial Service without further delay. Last week, the Delhi High Court had disposed of a PIL preferred by the petitioner seeking the establishment of Indian Judicial Services on the lines of Indian Administrative Service. During the hearing, the Centre had submitted that while some State governments and High Courts were not in favour of creation of All-India Judicial Services, in some other cases, the State government and High Courts wanted changes. Meanwhile, Chief Justice TS Thakur said he would meet Chief Justices of high courts to hold deliberations over it. The attempt, which is being opposed by many states, aims to streamline judicial appointments all over the country.